The graphic design of this ad is also revealing: the blue evocation of the sky – would a cloudy sky be too much in an ad? –, the rolling cloud which looks like seawaves drawn out of a Saint Seiya episode, the use of white fonts, and a logo that reminds of the Air France logotype’s comma. That’s how a complex technology is presented here. Perhaps one needs ai aircraft carrier’s mindset to manage data in the cloud. And finally, the name is also revealing. 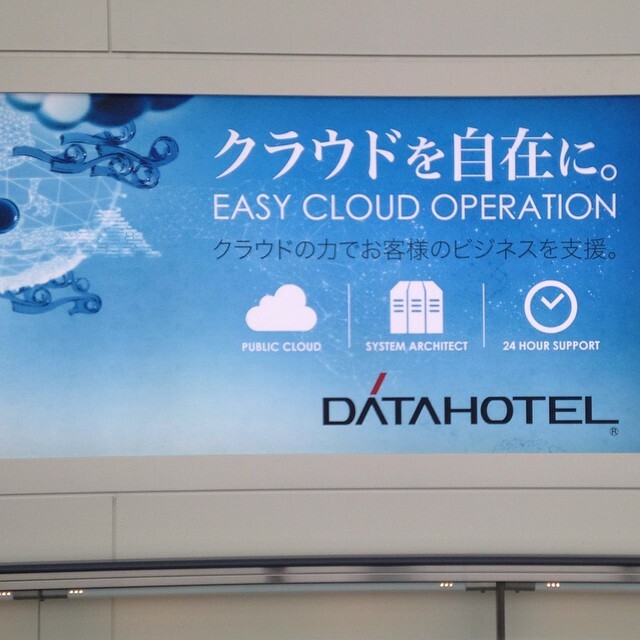 “Datahotel” is the new “Datawarehouse”. The vocabulary is important here. Our data are now precious and their status has been upgraded to a more humane type of place. What used to be commodities stuck in a warehouse should now be taken care of in an hotel; with a dedicated type of services (and their “system architect”). What’s next? Datahavens? Dataheavens? or shall we return to the cyberpunk data-banks from the 80s (only accessible via Ono-Sendai‘s consoles)?